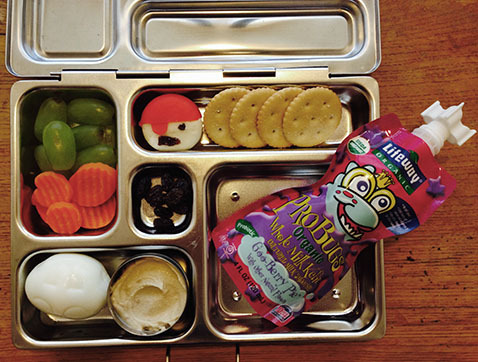 Lunch Inspiration - Egg, Hummus, Kefir, Cheese and Crackers, Grapes and Carrots - Are We Zen Yet? Grapes, Carrot Coins, Hardboiled Egg, Hummus, Raisins, Kefir, Cheese (Yar!) and Crackers.